Blurb- Meet Dev Sharma, a young student, who has a unique ability – he has nightmares that unfortunately come true. 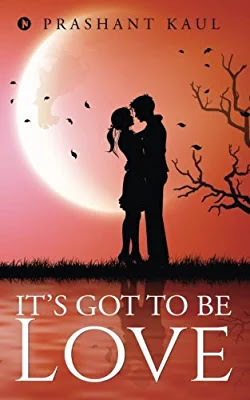 Review- It's got to be Love is brilliant debut by Mr. Prashant Kaul where author serves us not only a romantic fiction but also a kind of story which makes readers feel the characters. Kudos to the author for this brilliant debut. Book Title and Cover- Book Title is suitable with content as it is a romantic fiction. Book cover is beautiful and catches attention of readers. Blurb is interesting and hints us about the content. Overall First Impression of book is good and catches attention of the readers. Overall, It's gt to be Love is one of the few romantic fictions by an Indian author which touches your heart. A Must Read book for all the romance lovers.